Cos Bar Rebrand — say hello to jiah. Rebranding project for luxury cosmetic boutique. 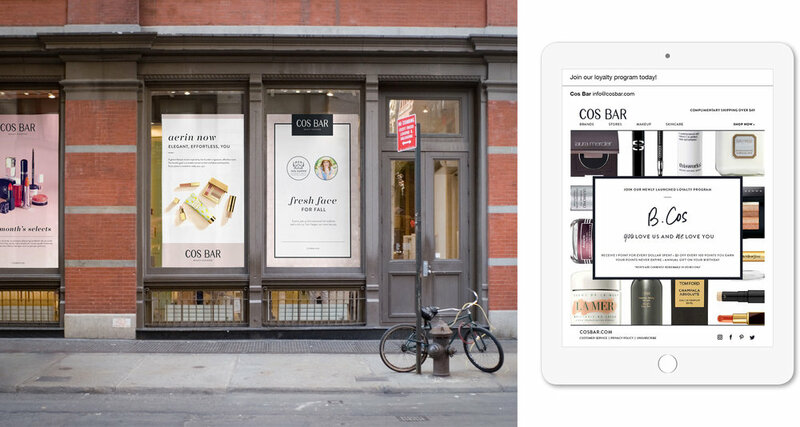 The rebrand embodied Cos Bar’s heritage while elevating its overall look and feel to be more cohesive and modern. The result was a thoughtfully unified brand identity brought to life through print, digital, and environmental design.